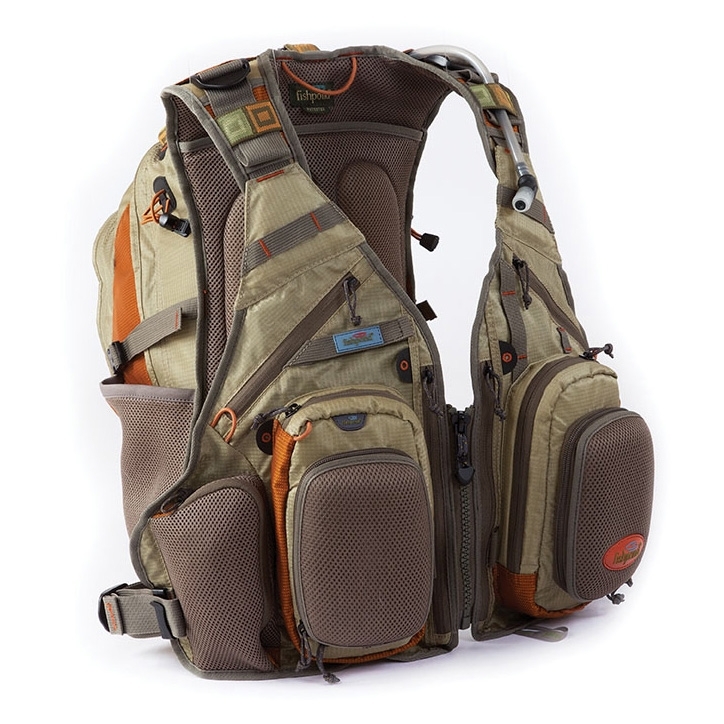 Fishpond Wildhorse Tech Pack. The crown jewel of the Fishpond vest line, the Wildhorse Tech Pack is actually a vest and backpack rolled into one. 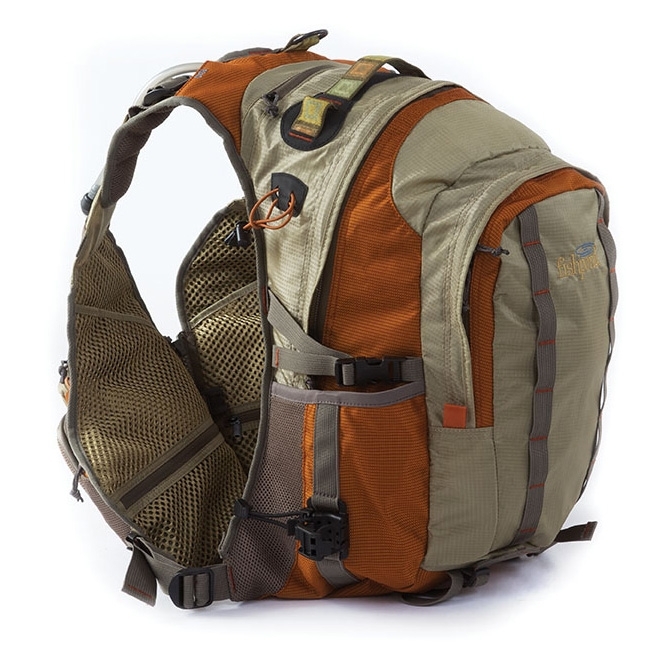 It has all the front facing pockets you'd ever need to store and easily access your gear, plus two of the guide-favorite drop down fly benches with replaceable foam inserts. Then you move back, where a 1,300+ cubic inch backpack holds you rain gear, hydration bladder, and of course lunch. Nevermind getting hot either - the entire pack is lined in comfortable cool mesh. I love this vest. It is a bit of an investment when looking at the price. There are pockets galore on it and the two moulded fly pockets are brilliant. They hold down to a little work bench displaying all your flies. The rucksack on the back has loads of round so you can pack extra clothing if needed as well as your dinner if your out all day. There is a drinks bladder pocket on the backside of the rucksack (not on the inside like I first thought) which is great because if it leaks for whatever reason your kit doesnt get wet in the rucksack. The low down pockets on the front are at a height making it easy the wear a self inflating life jacket should you wish if your wading are in a boat. (Personally I wear one just in case. You never know and Im a very strong swimmer). Anyway I would highly recommend this vest. Like I said it is a little pricey would its worth it. Loved by its owner to be recommended!